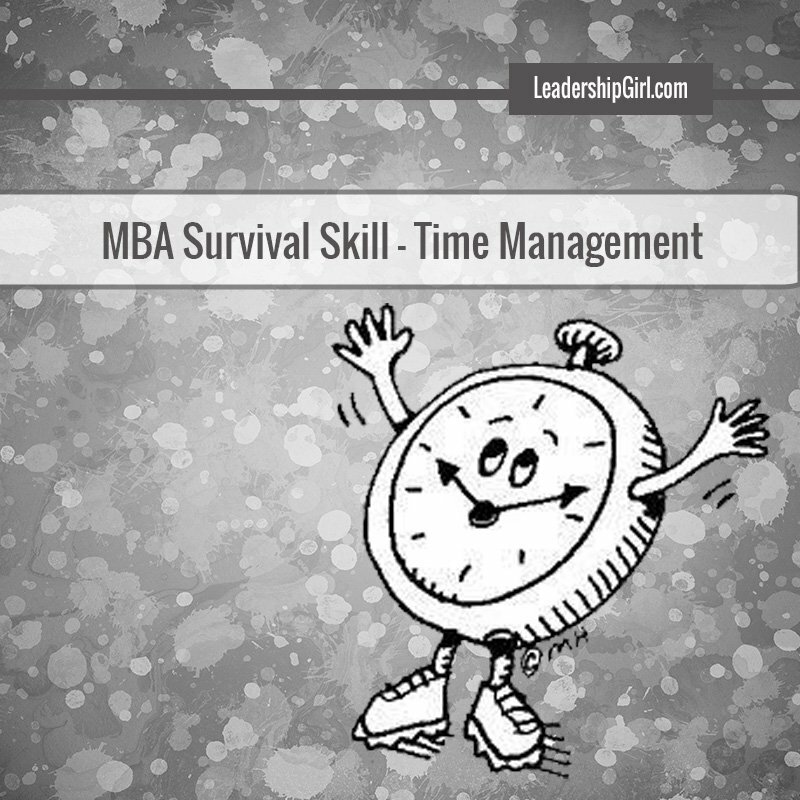 One of the most important skills for MBA survival is time management. I will be posting a lot of tips in this blog about time management in general, but also specific tips that helped me get through the program, and do it with my sanity still mostly intact. Okay- some of my dearest friends would dispute the sanity part, but I did survive the program. Decide which things you can delegate to others in your life. I’m a girl scout leader, but that doesn’t mean that I have to do everything myself. Last year during Girl Scout Cookie Season, I got extra help with counting money and cookies at the end of each weekend. We had a weekly counting party with several parents attending. That way, we got the girls accounts credited more quickly than ever before, and all of the money deposited first thing Monday morning. win-win. Decide which things can slide, and be done later. Some things can wait a few months. Painting the exterior of my house falls in that category, as does the chore of finishing sorting through my mother’s personal effects. Those chores will still be there in a few months. Decide which things do not need to be done at all. Do you have activities in your life that don’t make you happy or fulfill a need? They should be eliminated from your schedule. Use your time to do things that you find fulfilling or necessary. Set a schedule and keep to it. That means scheduling sleep, exercise, and time to eat. It also means scheduling time to study for all of the classes. 15-25 hours per week is the amount usually quoted, and I find that to be fairly accurate. Schedule that time for yourself as well- haircuts, a manicure, and even a massage. You need to take care of yourself, and sharpen your saw. With some creativity and time management, MBA survival is possible, and not even too difficult. It just takes work, and discipline to follow through. Previous: Previous post: Are You Addicted to Busyness? Take the Busyness Test.